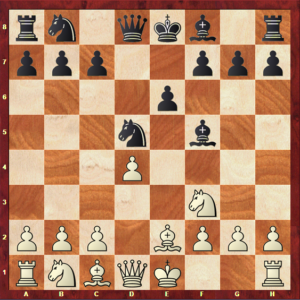 Welcome to another moment of learning in your journey through all the 17 chess pawn structures: this time we will be dealing with the Caro Formation. If this name rings a bell it might be because it refers to the Caro-Kann Opening, a very common defence for Black against the move 1.e4. In fact, this structure is very often originated from games played with this opening. 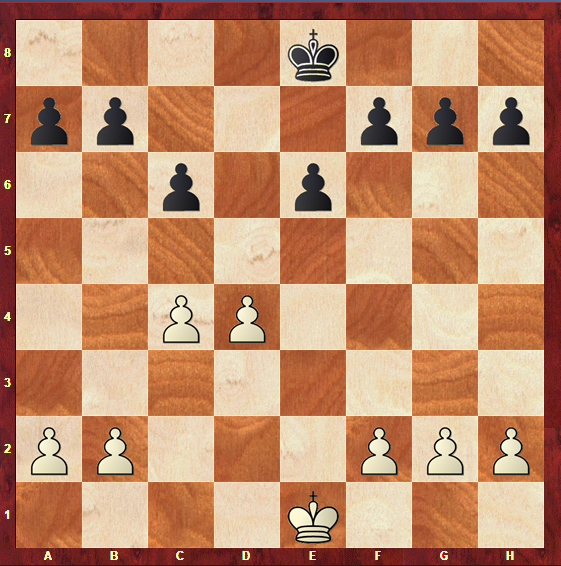 However, as we will see later, a lot of other openings can lead to this pawn formation. If you have already studied the Slav formation, then this structure will be very easy for you to understand, as they share a lot of characteristics. In fact, some experts even consider it to be the same structure with simply a small alteration. However, there are some things about these structures that also tell them apart, and so it is important to understand the differences between them. Not every plan that applies to the Slav Formation can be used in the Caro Formation, and vice-versa. Just like in the Slav formation, the games in this structure do not often result in quick wins or matting attacks for either of the sides: this will be a rather slow, strategic type of play. This structure is pretty solid for both sides, though White benefits from a typical small edge at the beginning of the game. Because of that, Black must try to equalize the game before he fights for an advantage. 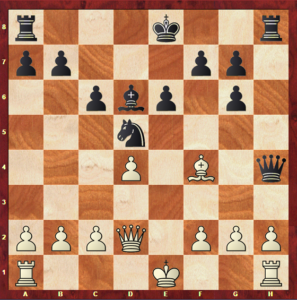 What does the Caro formation pawn structure look like? Take a good look at the above structure and the imbalances that it brings to a game. It is very important to notice the asymmetries of a position when you begin to analyze it, as they will tell you a lot about the character of the game. 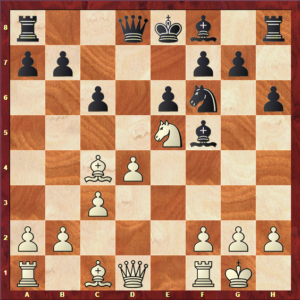 The main characteristic of this position is the fact that White has exchanged his central e-pawn for Black’s d-pawn. This is an asymmetry that must be taken into account, as it leaves both sides with a different semi-open file for them to play in. As noticeable in the diagram above, White has none of his own pawns on the e-file to block his pieces there. The same happens with Black on the d-file. It is also important to differentiate this position from the Slav Formation Structure. 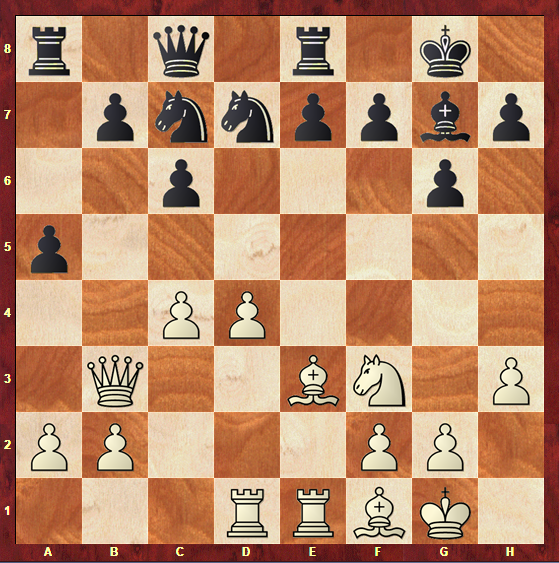 As you can tell, the only difference is the fact that in the Caro Formation, there is a White Pawn on c3, whereas in diagram 1b there is a pawn on e3. This might seem like a small alteration, but it is significant. 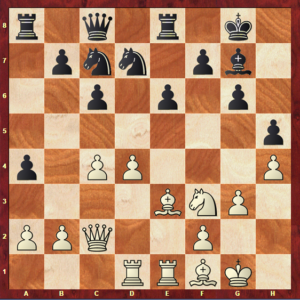 An example of a difference is the fact that, in the Caro formation, White has a pawn on c3, and because of this he has a majority on the Queenside and not a minority, as happens in the Slav Formation. Because of this, it is easy to understand that if White does no longer have a minority, a minority attack on this side of the board is obviously out of question. 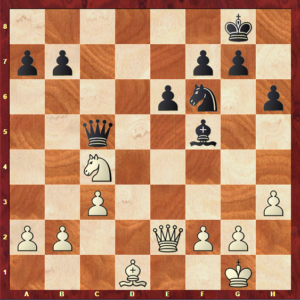 In the Caro Formation, the d4 advanced pawn guarantees White a spatial advantage, as well as a better control of the centre. 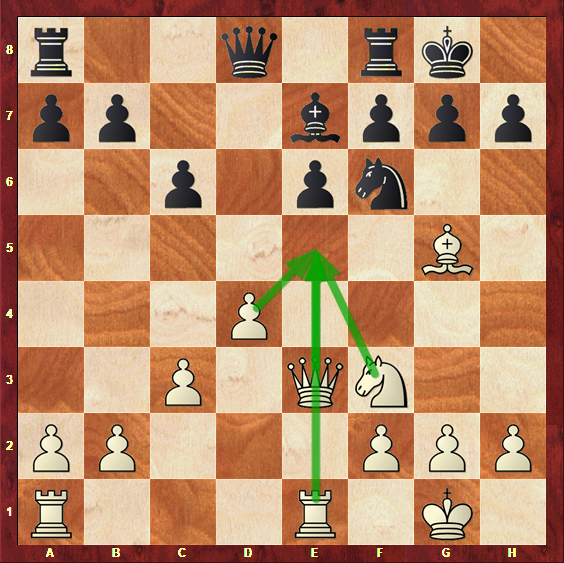 As you can see on the above diagram, this central pawn gives White a steady control of the c5-square and the e5-square. 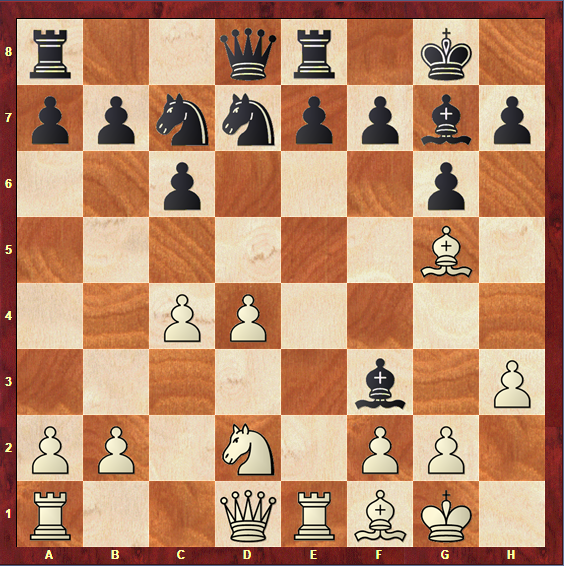 On the other hand, Black has two pawns on his third file (the c6-pawn and the e6-pawn) ready to undermine White’s centre when possible. 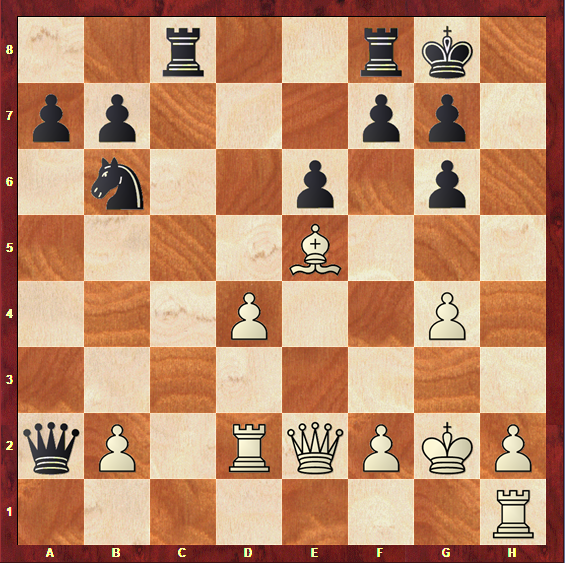 Both these pawns give Black a very good control of the d5-square, as the diagram above shows. Outposts are very important in these positions. 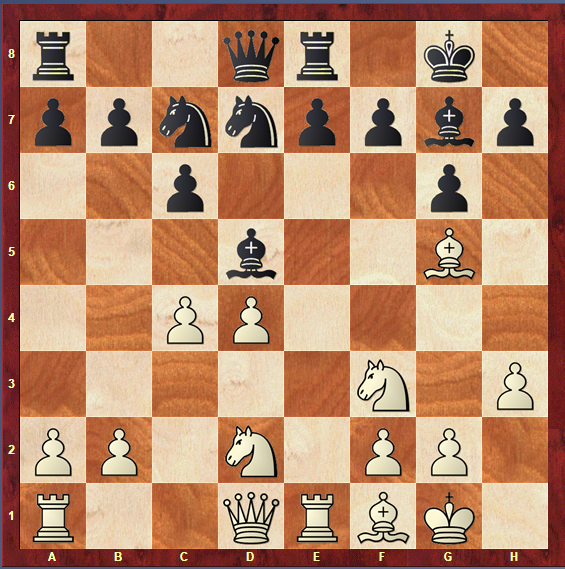 White benefits from the strong e5-square to place a knight on, and this square can be very useful in order to launch a kingside attack. 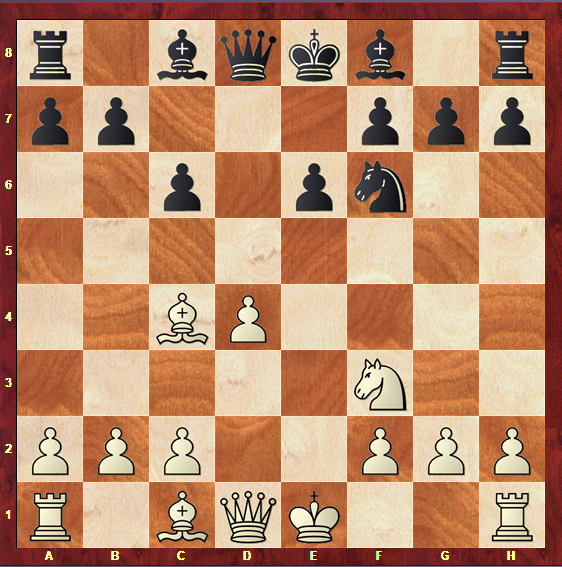 Black, of course, could try to control e5 by playing …f7-f6, but this is usually not good for his position, as it would weaken his king and his b6-pawn. White is not the only one who has the possibility to explore advanced central squares to place pieces on: Black can try to place a knight of the d5-square. This is a very central square, and because of that it would be great to have a knight there, since it would control many other squares. However, White can easily push c3-c4 in order to get rid of the d5-piece, even though this would weaken his d4-pawn. It should be noted that the e5-outpost is more important for White than the d5-square is for Black. 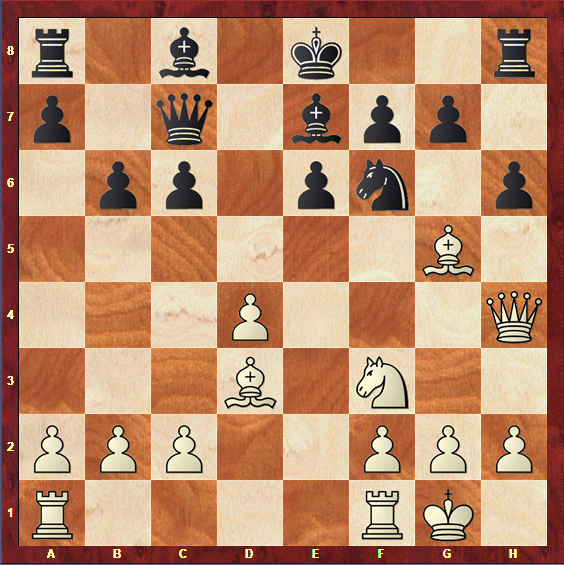 In most cases, the move …f7-f6 would weaken Black’s position a lot more than the move c3-c4 weakens White’s. However, both of these squares could play a very important role in the game. 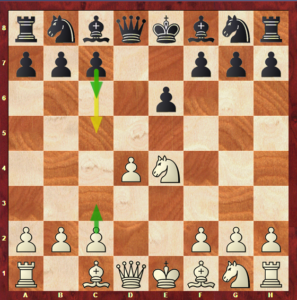 Now that you know the main features of this pawn formation, let’s sum up its most important aspects, so that you will be able to then understand the plans that apply for both sides. 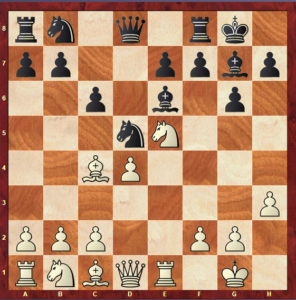 Before we get to the part of the article when you will learn how to play in this pawn structure, it’s time to analyse the most important characteristics of both White’s and Black’s positions. As you know, this position has some noticeable imbalances, as the exchange of White’s e-pawn for Black’s d-pawn, and the fact that White has a more advanced pawn on d4. 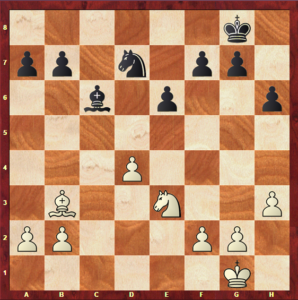 It is important to note that White has a small advantage in this structure,due to having more space and control of the centre. Because of this, it is easy to understand that most of White’s plans will aim to secure that edge, whereas Black will try to fight for equality. One possible way for Black to do so is a central break. As in the Slav formation, central breaks will be very typical for Black in these positions. 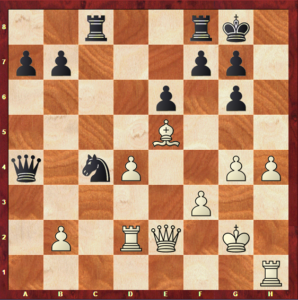 The logical explanation for that is the fact that Black doesn’t have enough space, and because of that he needs to advance a central pawn and disrupt White’s control of the centre. 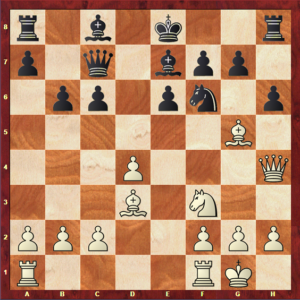 Black has two possibilities of central breaks: he could play either …c6-c5 or …e6-e5. 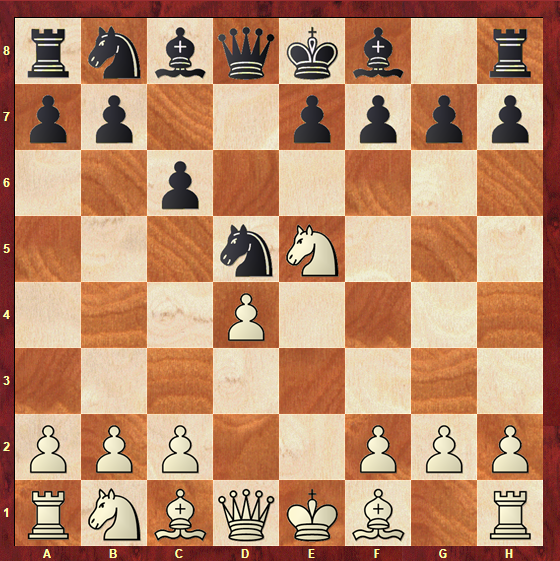 Note that the …c6-c5 break would lead to a position with more imbalances in comparison with the …e6-e5 break. If Black manages to exchange his c-pawn for White’s d-pawn, the resulting structure would leave White with two pawn islands, each one of them with three pawns. Black would have the same number of islands, but with four pawns on the kingside and two on the Queenside. This would give Black the opportunity to launch a pawnstorm on the Queenside, creating a minority attack. 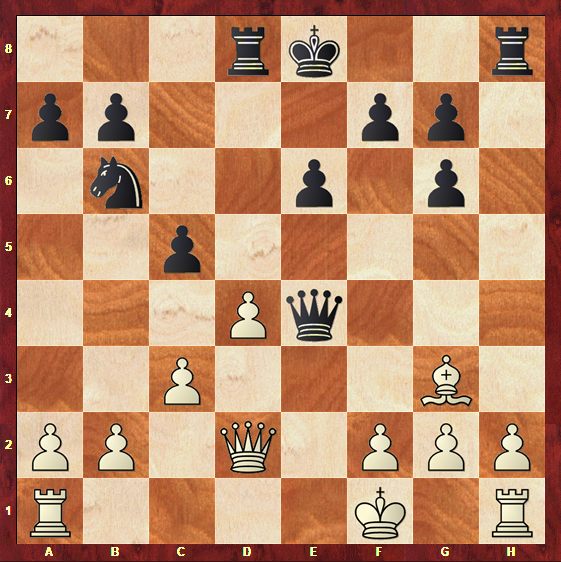 However, White’s majority on the Queenside could become an advantage on the endgame, as White could easily try to create a passed pawn on this side of the board. The …e6-e5 break is very likely to end up in a position with a symmetrical structure, since both bands are left with three pawns in each side of the board after Black’s e-pawn and White’s d-pawn disappear. As you can see in the diagram above, this break results in a structure with no imbalances. 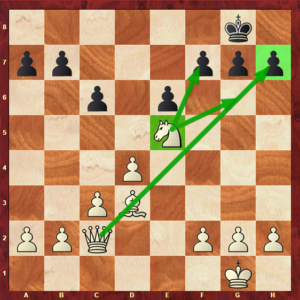 Because of this, the evaluation of the position would fully depend on the other factors of the game (such as piece placement and king’s security). It is important to understand that breaking the centre is a big step for Black towards reaching equality. Usually, if he manages to do it without losing control of the game, he will end up being in a position with level chances. 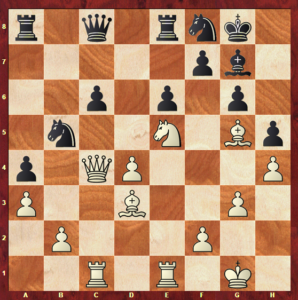 It might seem that breaking the centre later in the game when White is already more advanced into a wing attack would be better for Black. However, delaying these breaks usually gives White the opportunity to control them and even stop them. Because of this, if you are playing this position with Black, make sure you don’t wait too long before you carry out this plan. Before we get to White’s position characteristics, there is a last important thing to note when talking about Black’s central breaks in this structure: the break …c6-c5 is much more likely to be successful than the …e6-e5 break. 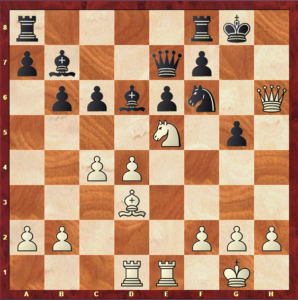 This will be easy to understand if you remember that this pawn formation leaves White with the semi-open e-file to explore. 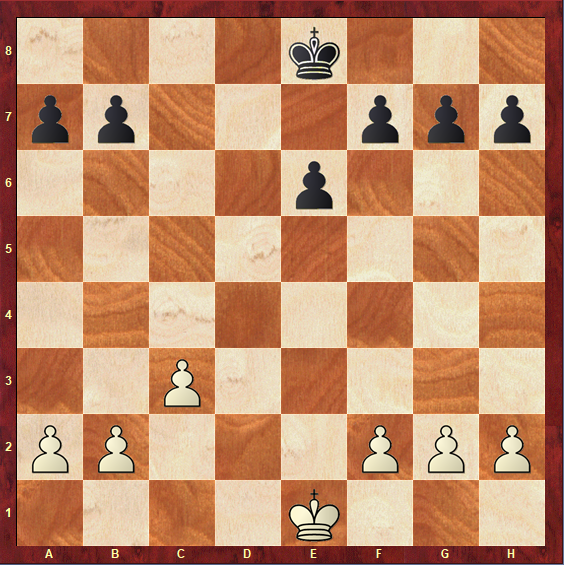 Because of this, it is a lot easier for White to control the advance of the e-pawn than the advance of the c-pawn. 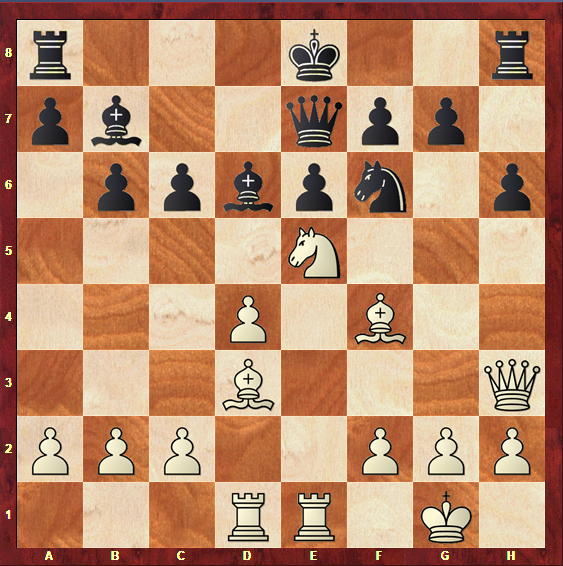 While Black is planning the right moment to break in the centre, White has some options to develop his game. 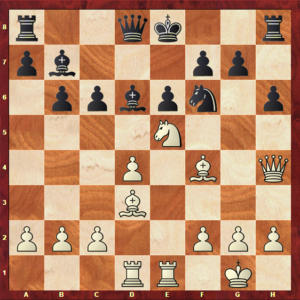 The first one is very straight to the point: launching a kingside attack and trying to checkmate his opponent. Usually combined with the Kingside attack, there is the e5-outpost. A very typical plan for White is to place a knight on this square, controlling a lot of crucial squares on that side of the board. 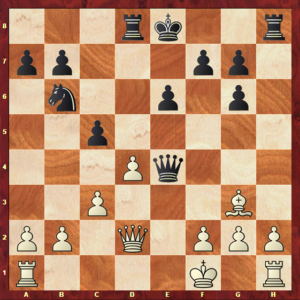 Besides that, the b1-h7 diagonal commonly plays an important role, since White usually places a Bishop and his Queen there, pointing at the weak h7-pawn. 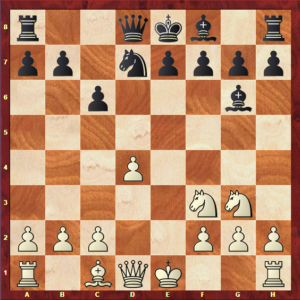 Besides this direct attack, White can also play in a more strategic, slow-paced way. A possible plan is the move c3-c4. This is usually accompanied with placing the pieces in squares where they can control the centre, in order to make Black’s central breaks a lot more difficult and to secure an advantage. 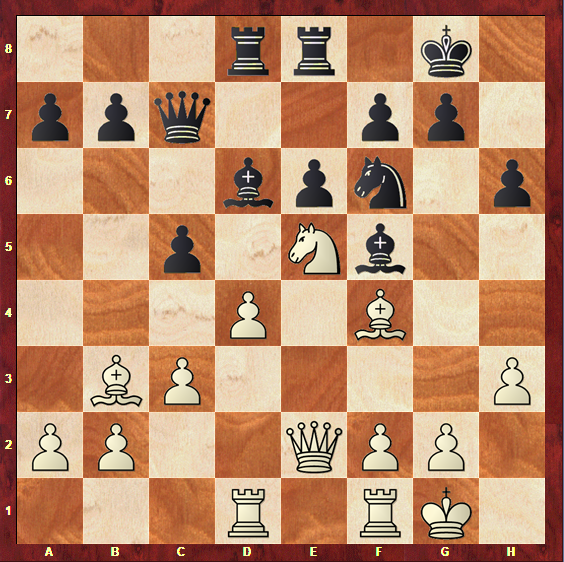 After having played c3-c4, if Black has not played …c6-c5 yet, White has an extra possibility: to play c4-c5, occupying this square himself and permanently preventing this Black’s central break. 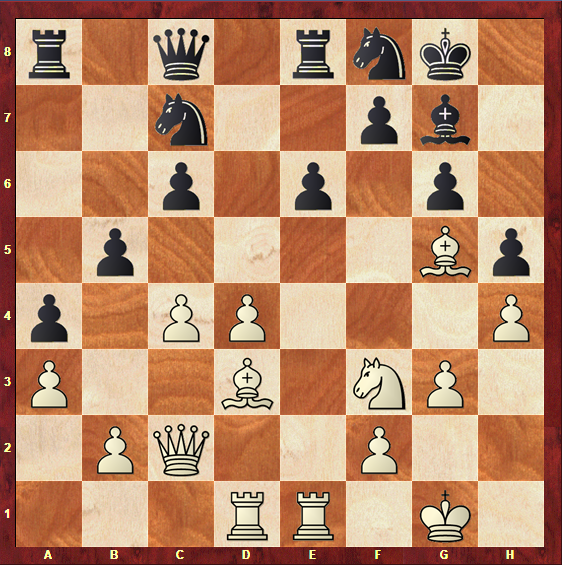 But the purpose of this move is not to simply restrain Black’s game: the advanced c5-pawn gives White the control of the weak d6-square, which can be a determinant factor of the game. 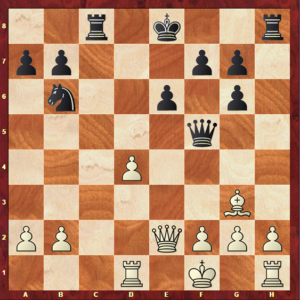 This square is very vulnerable, and because of that it could become a very important outpost for White to place pieces in and very helpful in the control of the centre. 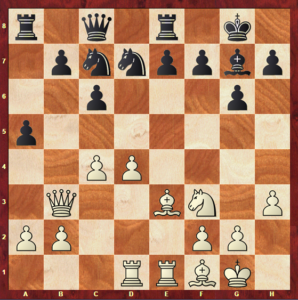 Although it might seem very tempting for White to gain space in the centre like this, it is important to keep in mind that the advance of the c-pawn has a drawback: the d4-pawn is left more vulnerable, now that the c-pawn does no longer protect it. Since this pawn is in a semi-open file for Black (the d-file) it could become an easy target. Because of this, it is important for White to make sure he can defend his d-pawn with pieces before he starts expanding on the c-file. Note that, if White’s c-pawn advances all the way up to c5, the d4-pawn would be left backwards. 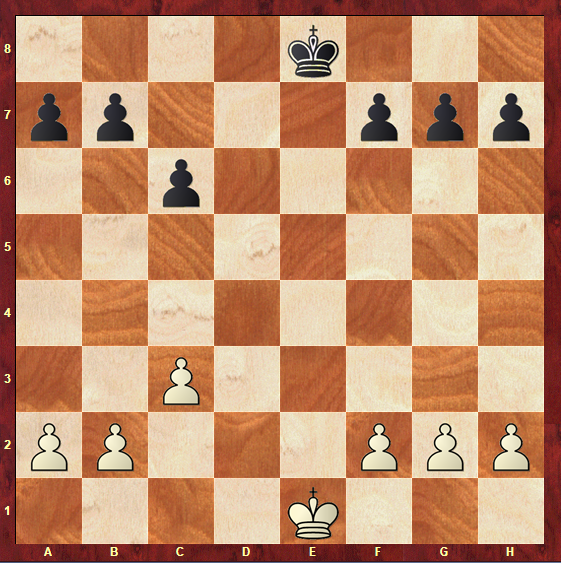 This could become a serious issue in an endgame, as White would have fewer pieces to defend it. 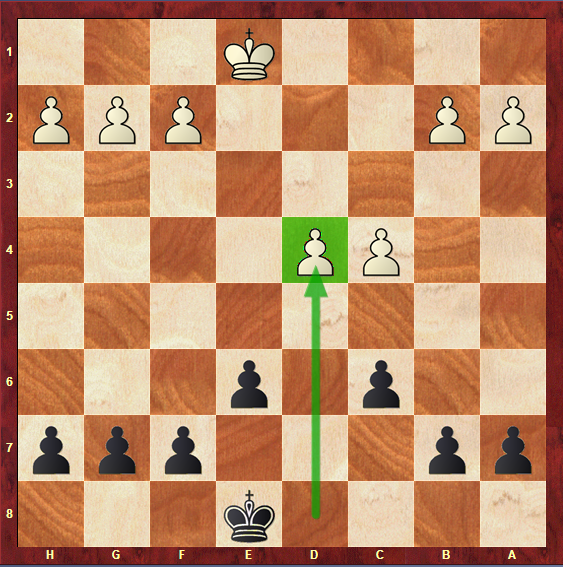 Besides attacking the d-pawn, Black can also try to undermine White’s centre by advancing his b-pawn. If White’s c-pawn is on c4, Black could try to play …b7-b5 directly. If White’s c-pawn is already on c5, then the move …b7-b6 could be a good option. These are the main ideas and aspects of this structure. It is now time to see how they work in practice, and how top-players manage to take advantage of the drawbacks and imbalances of these positions. 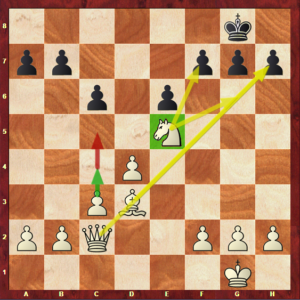 We have reached the most important part of this article: we will now discuss the typical plans that take place in the most interesting games that arise from this pawn formation. First, let’s start by stating the most common plans for both White and Black, so that they will be easier for you to recognize in the games. After the previous sections, it should be easy to understand them. 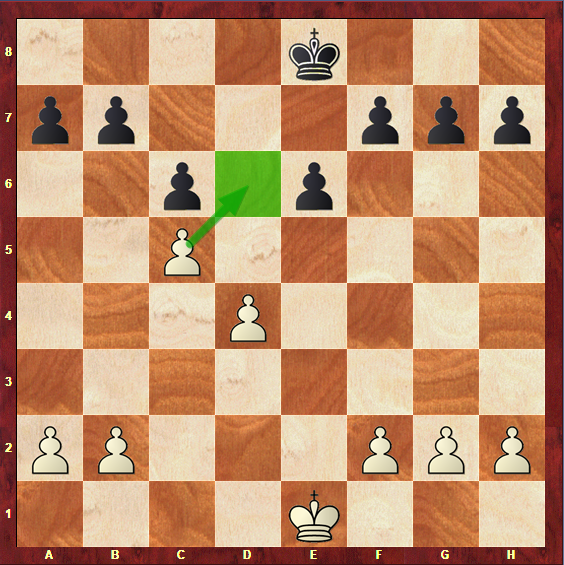 The first game, played between Vladimir Akopian and Alexandr Shimanov, is an example of White’s ability of developing a Kingside attack. The game took place in the year of 2012. A common line of the Caro-Kann opening. Note that, from this early stage of the game, White has a lot more space than Black. 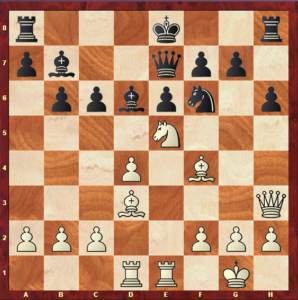 An imprecision: most common in this position is 11…b6 or 11…c5. 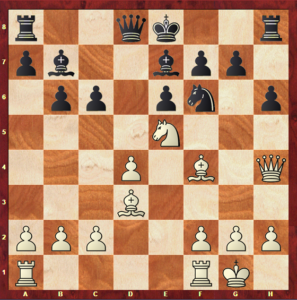 White is already in a better position, as he is putting a lot of pressure in Black’s position, especially on the Kingside. White is so ahead in development right now that it is really hard for Black to find counterplay. Due to White’s multiple threats, Black doesn’t seem to find a safe way to castle in this position. White is now threatening to play Ng6, since …fxg6 would lose to Rxe6, winning the Queen. Black resigned since he would have to give up material in order to defend the mating threats. 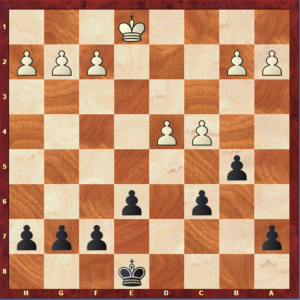 This is a short game, but it carries a valuable lesson: Black must not remain passive in this structure. White already benefits from a slight advantage at the beginning of the game. In this structure, it is clear that Black has to fight for equality before aiming to go further than that. 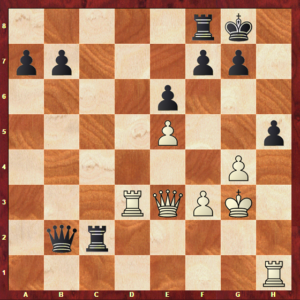 Because of this, Black must react and find counterplay in order to equalize against White’s threats. If he doesn’t, it will be easy for White to make good use of his space advantage and attack on the kingside. 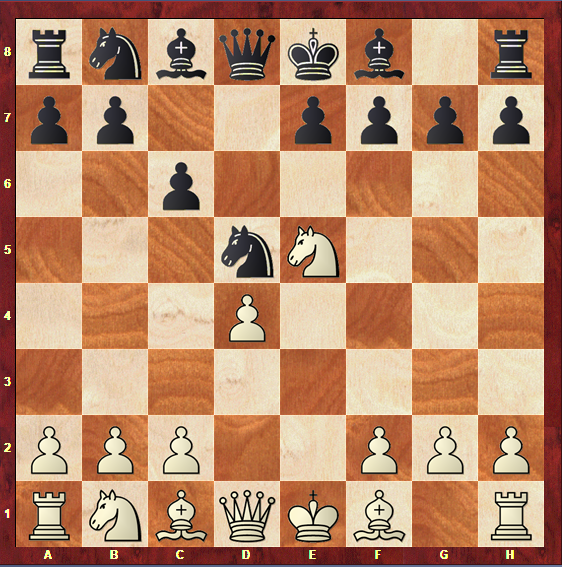 As you already know, wing attacks should be met with central breaks, which, in this structure, are the main plans for Black. 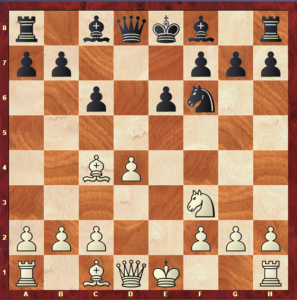 Because of that, it is very important for you to keep in mind the key moves …c6-c5 and …e6-e5. We will now see a game in which Black successfully carries one of these breaks and manages to equalize the game in this way. Both White and Black develop their pieces in the natural way. 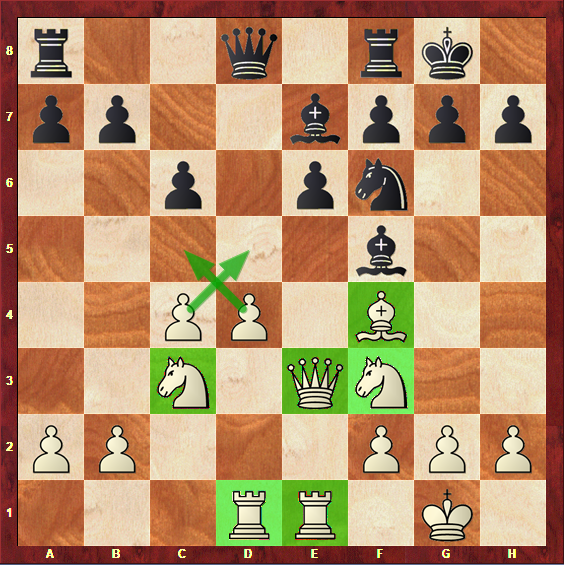 White already managed to place a knight on the strong e5-square. The initial development is now pretty much concluded and it’s time for both bands to choose and follow some of the typical plans of this structure. 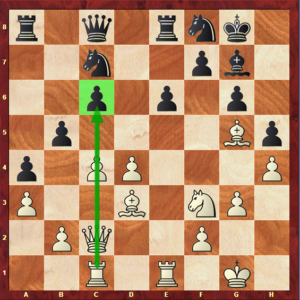 Black reaches this central break under great conditions, since all his pieces are well-placed. 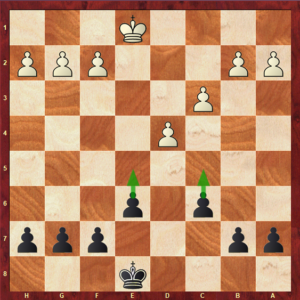 Pieces are exchanged and Black manages to free himself from the previous lack of space. At this moment, the position is already fully equalized. An endgame with level chances is closer since more pieces are being exchanged. An endgame is finally reached. Although the material is the same for both sides, the Queen’s exchange left White with an isolated pawn on d4. This, as you know, tends to be a weakness in endgames, and this one is not an exception. However, this fact alone shouldn’t be enough to win the endgame. We won’t analyze the rest of the game as it does not serve the purposes of this article. 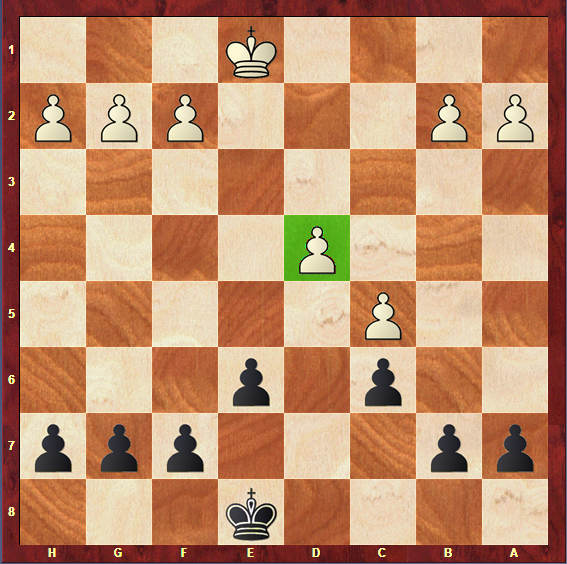 However, with lots of patience and precision, Black managed to enter a winning position and win this endgame at the move number 80. The main lesson of this game is the fact that Black’s breakthrough in the centre released his game and allowed him to acquire a completely equal position. This happened because he was lacking space before and had no control of the centre. After the move 15… c5, he opened up the centre and gained a lot more space to place his pieces. Other thematic ideas present in this game, such as the e5-outpost for White, should also be remembered. Moving on, let’s now see a more strategic and slow-paced game, where White tries to secure his edge and maintain a great control of the centre. 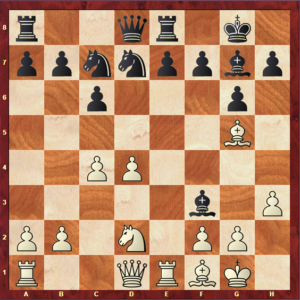 A very different move order that the one in the previous games: this time we are facing a very common line of the Alekhine Opening. Black is clearly lacking space in this position, therefore he must find a way to react and create counterplay. White chooses the plan of going c2-c4 directly, controlling the centre. 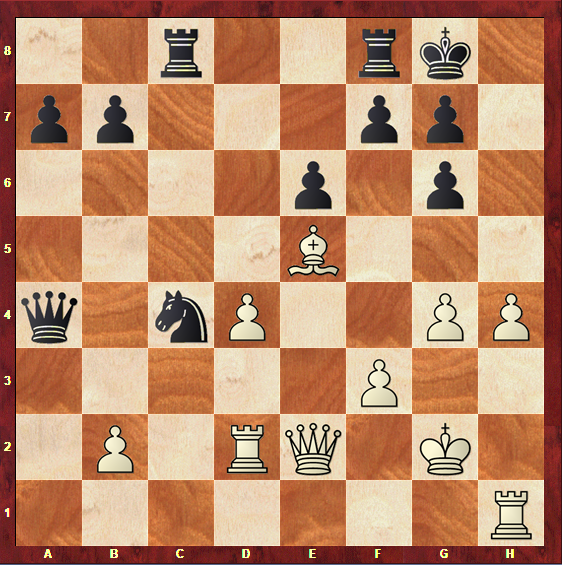 This works in this position due to the fact that Black’s breaks in the centre are still far from turning into reality, and White’s d4-pawn cannot be easily attacked. White’s space provides him with an incredible advantage, since Black’s pieces do not have good squares to be placed in. 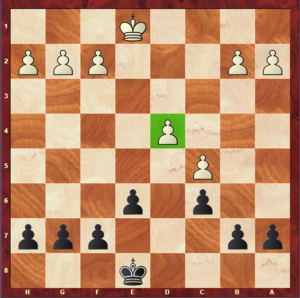 Black decided to exchange his bishop, which was a good idea. As you know, exchanging pieces usually benefits the side who has less space, helping to release the pressure. Black tries to expand on the Queenside, since breaking the centre with …c6-c5 or …e6-e5 doesn’t work in this position as it would give White an even better position. White starts his expansion on the Kingside , and Black tries to stop it by blocking the h-pawn. 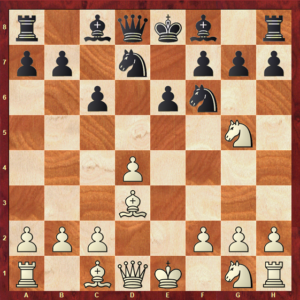 However, breaking the centre with …e6-e5 would probably be a better option here, since Black should try to find some sort of counterplay. Otherwise, White will just continue to improve his position until there is nothing left for Black to do. 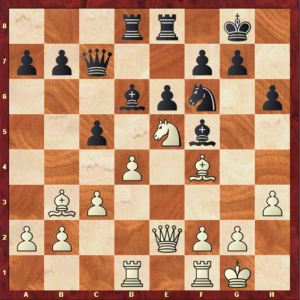 As mentioned before, Black can try to advance his b-pawn in order to disrupt White’s control of the centre and create some counterplay. 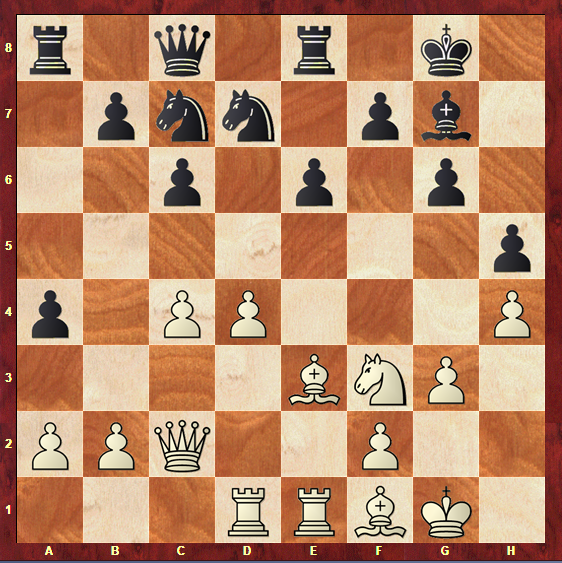 However, this does not work in this position, since the c6-pawn, left backwards, is a very serious drawback. Putting even more pressure on the weak c6 pawn. It is very likely that the c-file will be open in the future, since white’s c-pawn and black’s b-pawn are very likely to be exchanged. 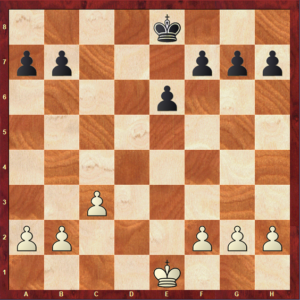 Because of this, it is a very good idea for White to place a rook on this file. White’s Knight finally gets to his key square: the e5-outpost. Black faces a huge amount of pressure on his c-pawn. 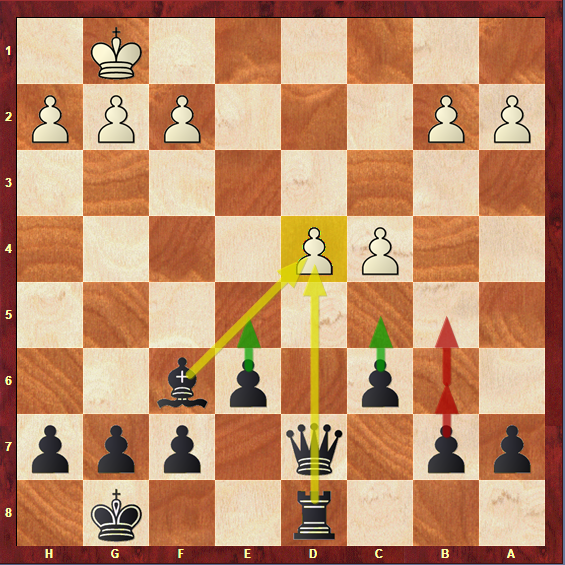 Black resigned in this position, since his c-pawn and his a-pawn are extremely weak and he can’t manage to protect them. Once again, this game shows how bad things can get for Black if he doesn’t actively fight for counterplay. 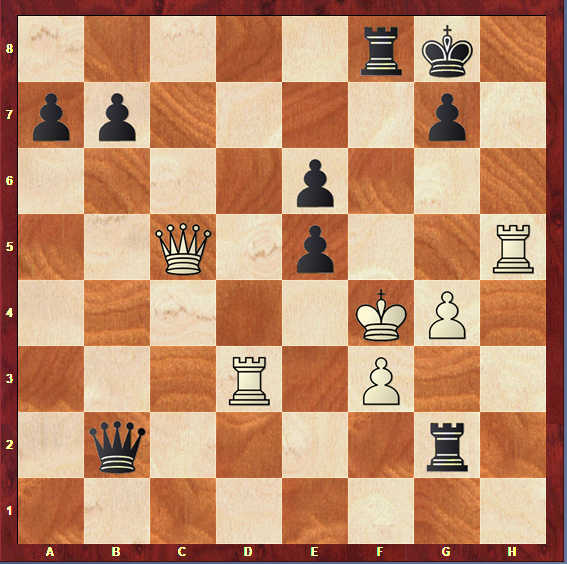 Even though it was the move 25… b5 that weakened his pawn structure, he was already worst due to the lack of space. White managed to control the centre and maintain a slight advantage by not exchanging pieces. Because of this, Black should have put more effort into breaking the centre before it was too late. Finally, let’s see a model-game that shows how exchanging pieces and breaking the centre can completely release Black’s position. Our structure is reached with a fairly equal position, although White, as usual, benefits from a spatial advantage. Two minor pieces were already exchanged, and this changes a lot: Black’s space issue is a lot less worrying with fewer pieces on the board. More pieces are exchanged and, at this point, White’s more advanced pawn cannot really be seen as an advantage, since Black doesn’t have enough pieces to feel restrained due to the fact that he has less space. Black’s position seems better now: there is a lot of pressure on the d-file and the d4-pawn. Preparing to enter in White’s second rank. The d4-pawn is isolated and vulnerable, and it can only get weaker as the endgame gets closer. Finally winning material and securing the advantage. Black’s position keeps improving. White’s d2-rook has no safe squares to go to, and because of this White has no possibility of challenging Black’s superiority in this position. Black’s threats on White’s second rank are now impossible to defend. White resigned as he would get mated very soon. Once again, this game showed us how dangerous Black’s activity can get once he manages to break the centre and release his position. 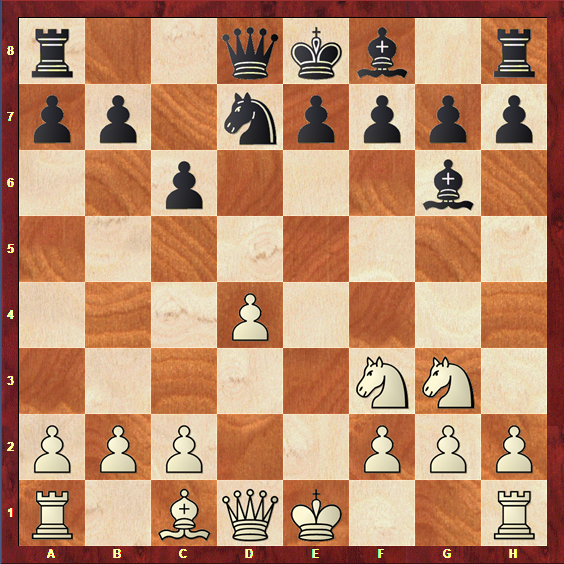 Because of this, in this structure, White must be extremely cautious about these central breakthroughs. 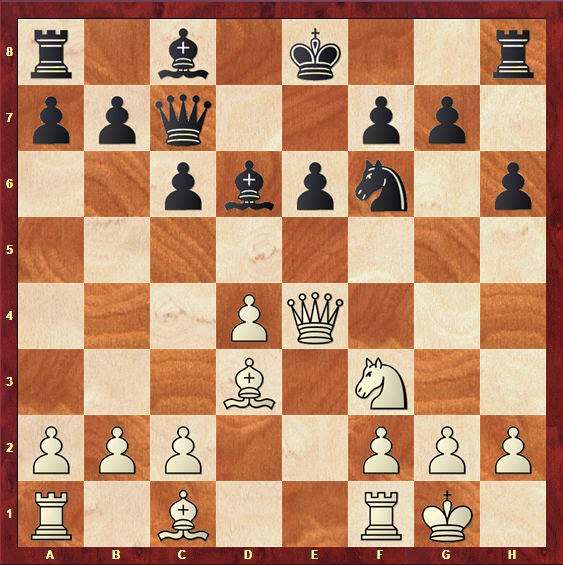 Let’s move on to the next section and learn how to get this pawn structure on your chess board! Although the name might lead you to think otherwise, the caro pawn formation does not only come from the Caro-Kann Opening. 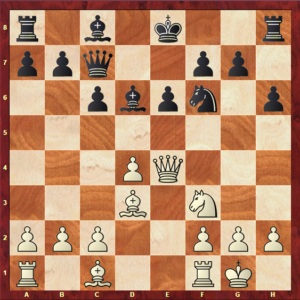 Indeed, this is one of the most versatile chess structures, and it can be originated from very different openings. 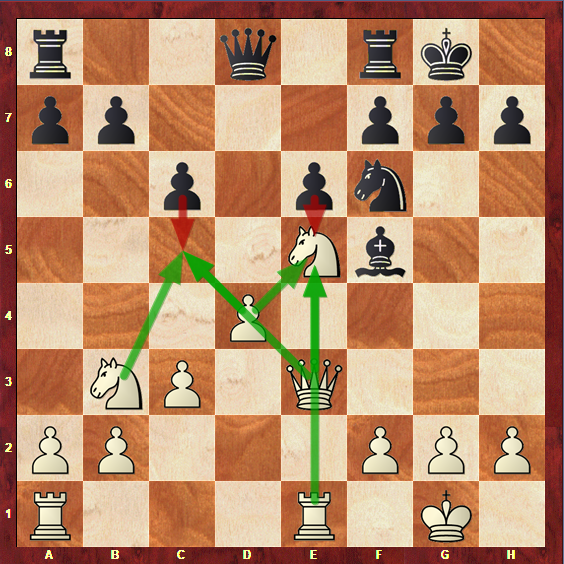 White’s c-pawn will go to c3 or even directly to c4 and Black’s c-pawn will usually go to c5, leaving us with the well-known Caro formation. These are just some examples: in fact, there are numerous move orders in different openings that can lead to a caro pawn structure. Because of this, it is crucial that you study this pawn formation. 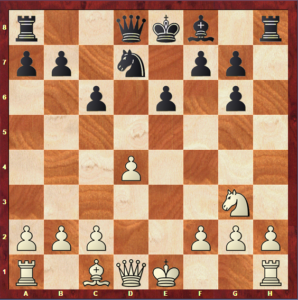 Even if you don’t play any of the above mentioned openings, it is still very likely that this chess structure will appear on your board at some point. Luckily, now that you are nearly finishing this article, you will know exactly what to do! Before you are completely ready to get good results with this structure in your games, let’s sum up everything about the Caro formation and draw some conclusions. 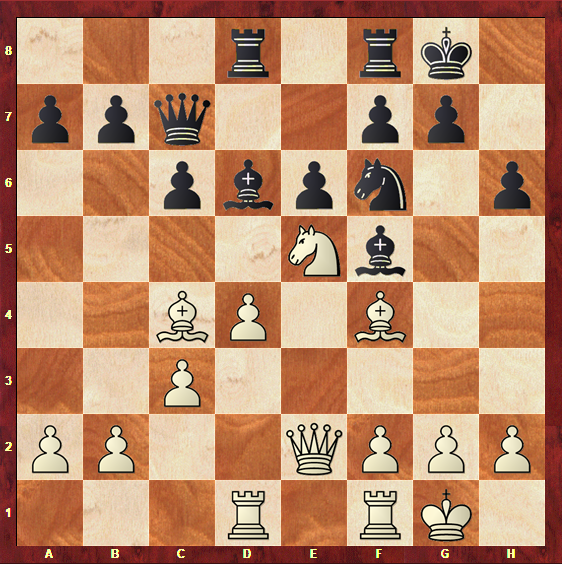 In the Caro formation, White has a more advanced pawn on d4, and a pawn supporting it on c3, while Black’s centre is supported by the pawns on c6 and e6. Because of the d4-pawn, White has a space advantage in this structure. In fact, White should be a little better in the beginning of most games in this pawn formation, and because of this Black has to fight for equality. 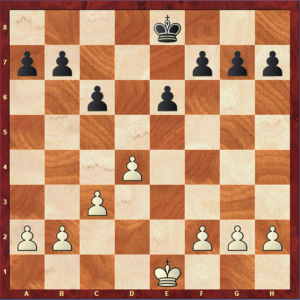 Black’s most common ways of trying to equalize the position are central breaks. For these, black has two options: the move …c6-c5 and …e6-e5. When White chooses to advance his c-pawn, it is usually a good idea for Black to pressure on the semi-open d-file, or to advance his b-pawn, threatening White’s c-pawn. You have finally reached the end of another pawn structure article. Now you are ready to play games in this structure and get exciting results! 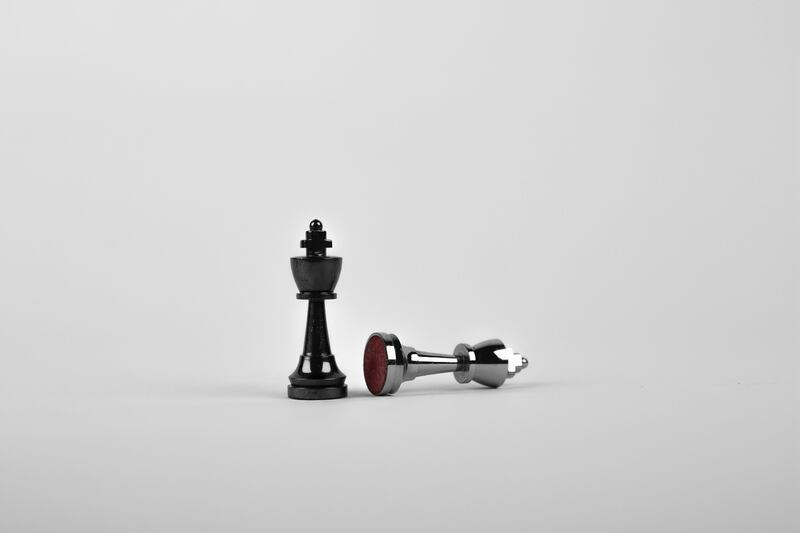 Congratulations on mastering one more pawn structure – keep reading our pawn structure articles to see your strategic chess skills quickly improving!